﻿ . :: Wharf Bar & Restaurant Ballina ::. Situated right on the river and in the centre of town, The Wharf Bar & Restaurant takes advantage of the stunning Richmond River backdrop with its open plan dining area, which allows it to boast one of the most spectacular sunsets in all of Australia. 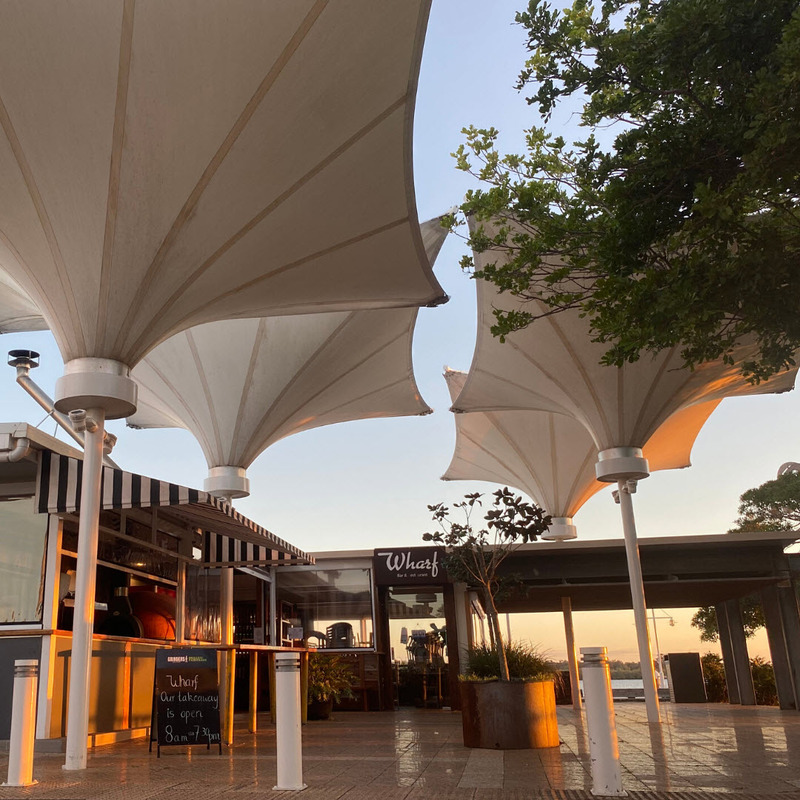 By utilising an incredible selection of locally sourced seafood and the regions freshest farmed veggies, The Wharf Bar & Restaurant is quickly becoming an iconic dining experience in the historic coastal town for many visitors, as well as a becoming a regular favourite amongst the lucky locals. "A great place to have lunch on the river in Ballina. Relaxing atmosphere looking out on to river with lovely cooling breezes. The food was presented well using fresh ingredients.